Maggie Harris has her ultra-organized life well in hand, until she finds her neighbor and husband together, in her bed, and the tight hold she keeps on her world unravels, leaving her grasping for an escape. So how can she refuse when she’s handed the dream job of running her aunt’s bookstore and a chance for a fresh start? Even though the bookstore is in Brockport, Connecticut, her former hometown, and a place she’d vowed to leave behind forever. When someone breaks into Maggie’s new business and leaves a threat on the wall, Detective Cooper Stanton is assigned the case. It’s been twenty years, but Coop hasn’t forgotten the way Maggie once charmed him at every turn—even with her controlling ways. This time, though, Coop refuses to let her seize the reins. What he doesn’t know is she plans to grab them anyway…and she’s got a secret she never shared. 5-Stars for The To-Do List!! 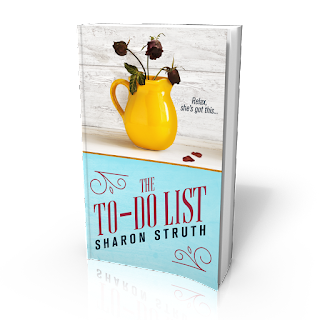 "Ms. Struth has written a story filled with emotion, affection, angst and just enough mystery and humor... If I could, I would give this book ten stars!" The smooth, baritone voice stopped her mid-stroke. She’d never forgotten it. It belonged to someone she’d thought had moved far away from Brockport. Someone she’d hoped never to see again. Maggie slowly turned around. Her mouth went dry at the sight of Cooper Stanton. A man she’d once believed she loved. A man who’d rejected her. Roxy strained to get away while he held her collar. “Nice to see you, too.” Coop’s lips wavered but didn’t reach a smile. Cool and distant. Same as the last time they’d been together, a night filled with passion and anger. She stepped down the ladder. Hadn’t he moved away from town with hopes of becoming a major league baseball star, a promise to put their small town on the map? She landed on the scattered newspapers, avoiding the splattered paint. Roxy whimpered. Coop crouched at the dog’s side, keeping a firm grip on the chocolate colored mix while he whispered words of assurance. He stroked the dog’s torso, his hand no longer that of a teenage boy, but of a grown man, the fingers long and sturdy with strong veins. At the sound of his voice, Roxy flipped back her head and dragged a saliva-coated tongue across his cheek. He grinned. Coop always did like promiscuous women. “Yes. She’s mine.” Maggie brushed aside a few stray wisps of hair near her face, worked free from a plastic headband, escaping like the decades-old hurt now ripping at her heart. 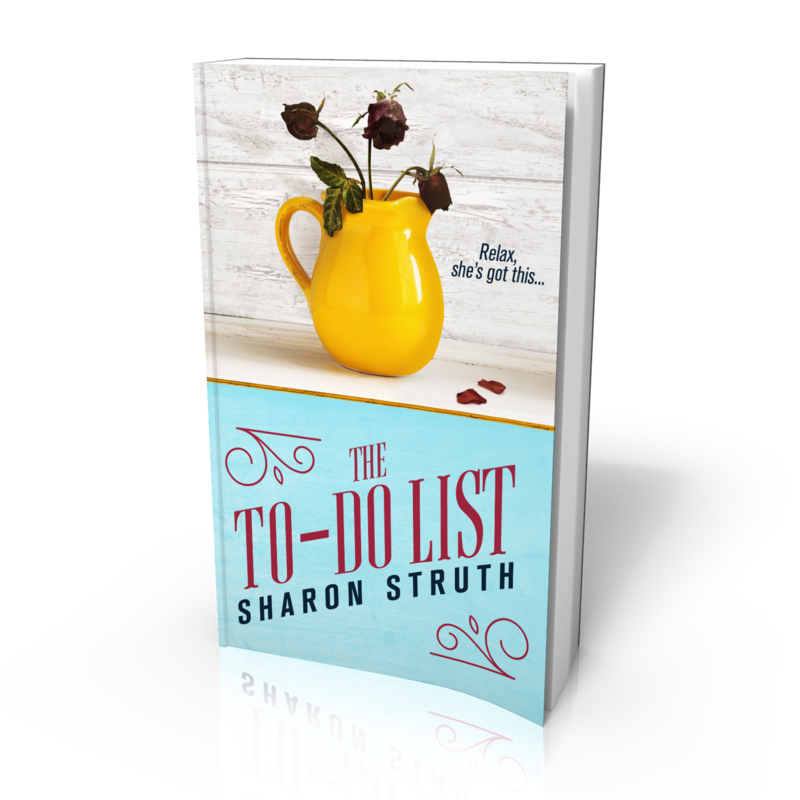 Bestselling author Sharon Struth believes you’re never too old to pursue a dream. When she’s not writing, she and her husband happily sip their way through the scenic towns of the Connecticut Wine Trail. The Hourglass (Etopia Press), her debut novel, is a finalist in the National Readers' Choice Awards for Best First Book and winner of the Chatelaine Award For Romantic Fiction. Her follow-up release, Share the Moon (Kensington Publishing) is a Barnes & Noble Romance Bestseller. The series also includes Twelve Nights (11/15), Harvest Moon (12/15) and Bella Luna (2016).